Online arbitrage it’s one of the best and quickest way to make money online — even if you don’t have a large budget to start with. Unfortunately one of the peculiarities of this business model is that it takes lots of time to check all around the websites of the web for arbitrage opportunities to sell. Not to mention that you have to calculate for each product the potential ROI and margin you can make when selling the same product on Amazon or from Amazon to eBay. That’s why software like FBA Wizard was born. They scrape 24/7 the pages of web retailers for opportunities of arbitrage, making the online arbitrage business model more effortless. FBA Wizard it’s one of the most popular software for doing this, and after I’ve tried all the other solutions, I will tell you in this review why I believe it’s the best solution for online arbitrage sellers and for whom I think it’s most suited. What Is FBA Wizard Pro? FBA Wizard Pro is a software that automates all the more tedious tasks an online arbitrage, private label, or wholesale seller has to perform daily. In short: it helps you discover winning product opportunities by highlighting the best based on your criteria (categories, margin, ROI expected, etc.) It works in the US, UK, Canada, and the rest of Europe. How Does FBA Wizard Pro works? FBA Wizard Pro allows you to search automatically on over 600 websites divided per country the best winning product opportunities. You can choose based on a large variety of filters. The most relevant I’ve found, however, is ROI and expected margins, as when you do online arbitrage it’s what takes the most time to consider what’s the margin we can get and calculate it each time. Another great feature is the ability of FBA Wizard Pro of researching product opportunities based on specific categories of the retailers that it will scout. What type of searches can you run with FBA Wizard Pro? Currently, there are eight different types of scans you can perform. This is the most sought to feature. It allows you to automatically search for arbitrage opportunities to sell on Amazon for profits. Specifically, the software goes through all the 600 major retailers selected, to search in each categories products that sell for less on these websites than on Amazon. Private labeling on Amazon it’s huge, and it constitutes not only a good chunk of Amazon’s revenues but also an excellent opportunity to get high margins and a long-standing brand. Similarly to other well-known software, FBA Wizard Pro allows sellers to find winning product ideas based on specific criteria. This feature allows you to upload a spreadsheet of pricing from any wholesale supplier you might be working with. It will then automatically compare the prices you have with how much it is selling on Amazon or eBay to highlight when there is profit to be made. You can then buy these products and send them to Amazon FBA. You can literally run an entire profitable business with this feature alone. As said before FBA Wizard Pro works particularly well (but not exclusively) in Europe. The Euro Scan features go actual potential arbitrage opportunities between Amazon’s UK marketplace with the other markets of Amazon in Europe such as Italy, France, and Spain. You can find products that sell for less in the UK and sell them for profits in other countries’ marketplaces without doing any work. 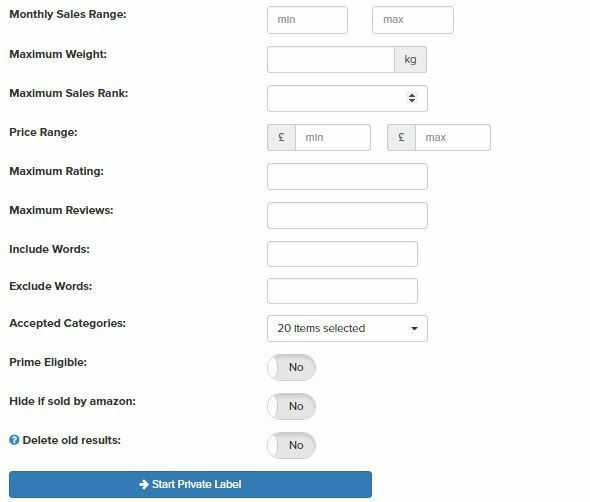 The eBay Scan feature allows you to scan all the retailers in the FBA Wizard Pro database for opportunities of products that are selling for more on eBay. Similarly to the Amazon wholesale feature, FBA Wizard Pro can check the prices of how much products that you can buy at wholesale prices are selling on eBay so that you can smoothly go there and sell them for profits. The reverse scan feature is another one we love. This time, instead of scanning specific retailers, this feature allows you o search for products in particular categories and automatically scrape over 4000 retailers for arbitrage opportunities. For instance, you might want to search for products in the ‘health and fitness’ category. FBA Wizard Pro will search thru hundreds of retailers to discover products that suit the specific filters you’ve chosen inside the Amazon class. You may set the standard filters to slim down your seek. When you subscribe to FBA Wizard, you get automatically access to three different training on online arbitrage. The quality of the information in training it’s outstanding, and you will hardly find more comprehensive courses for free or paid. When I started the free FBA Wizard trial, I had no idea of where to start, and I didn’t feel like buying other courses because I wanted first to get my hand dirty and understand if there was truly value behind this business model. The problem is that the information is not that well organized. There’s honestly so much that I felt overwhelmed initially. Fortunately, the free Facebook Group helped me to clarify some of my doubts. When I first tried Tactical Arbitrage, the major FBA Wizard competitor, I liked the functionalities, but the support was just plain wrong. When I had to cancel it wasn’t that clear to me if the procedure to succeed, but I received a response only a day and different hours after. In Tactical Arbitrage I didn’t like as well that the platform seems detached from the rest of the websites. It gives me the sense that something might go wrong. They might probably focus on re-investing all of their revenues into software features, but the eyes take their part. With FBA Wizard I felt safer in the checkout process and in running my membership. 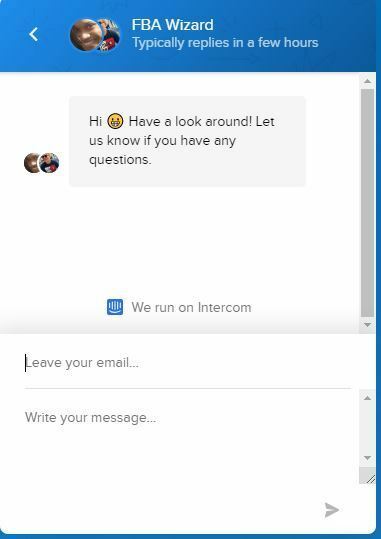 The support replied to me just a few hours after my first inquiry, and the User Interface it’s just more beautiful in my personal opinion, and it shows further attention to details. The founder of FBA Wizard is from the UK and has given a significant amount of effort in improving the capabilities in Europe of his software. The Euroflips feature it’s peculiar and not present in any other solutions in such a manner. 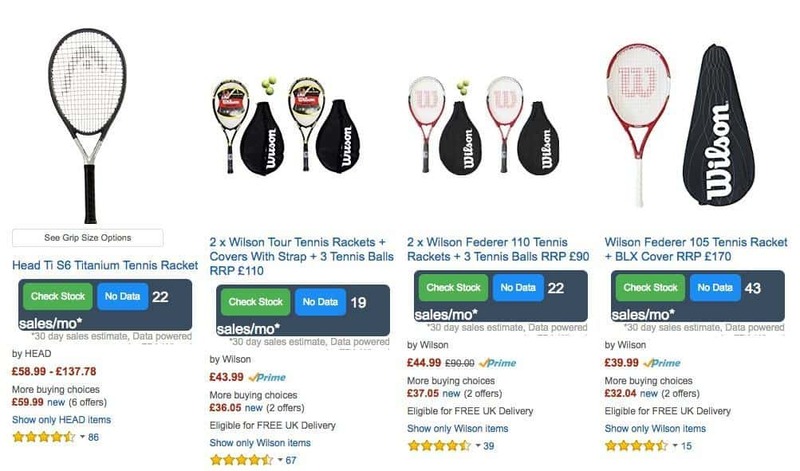 It offers the chance to find arbitrage opportunities of products that are sold for less on Amazon UK, that you can then flip on other Amazon marketplaces along Europe such as Italy or Spain for profits. 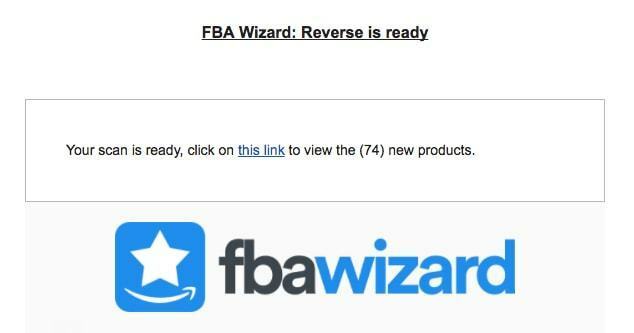 Despite being very useful for US sellers as well, with basically the same features and support, FBA Wizard beats his competitors if you’re selling in the Amazon European marketplace. FBA Wizard comes at a lower market-price than its competitors. Specifically, its primary competitor Tactical Arbitrage is selling for $99/month. Which makes it even more suitable for beginners. Despite being cheaper, and showcasing a large number of features which makes it a viable option than its competitors, FBA Wizard Pro has different limitations. Besides the lack of some small features, the major limitation is certainlty the number of retailers where you can search for arbitrage opportunities. They’re 600, not few, but not big enough as a database. Many people start selling on Amazon because they’re looking for more freedom in their everyday life. However, once you have a successful arbitrage business, it doesn’t make sense for you to keep doing the most time-consuming tasks that bring no value. You can outsource them to a VA. However, you will have to cope with the creation of training videos where you show your Virtual Assistant how to handle the tasks you want to outsource. FBA Wizard Pro has a very cool feature that not only allows you to add one or more VA to your dashboard with functions limited to the main tasks, but the site also provides ready-made training so that you don’t have to spend precious hours teaching them how to perform the tasks. FBA Fee Calculator it’s a very cool feature that FBA Wizard Pro comes with. It allows you to quickly realize how much you can earn from flipping a certain product, without having to take a calculator or switch to another website. Another very cool extra in FBA Wizard Pro is the WizardBar which uses the ‘Best Seller Rank data’ to estimate how many units a particular product sells per month directly when you’re visiting the Amazon’s website. You can work this out yourself using a spreadsheet (like mine) or use a calculator, but it’s tedious and takes time. This cool Chrome extension included in the price automate the process. How many retailers can it search for deals? Currently, it can scan over 600 retailers all over the way. From most well know such as Wallmart, to less know where often you can find better deals due to less competition. Can I use FBA Wizard Pro if I am in the US? Yes. FBA Wizard Pro is designed for the US and UK markets. It now will also find you deals in Canada which you can sell on Amazon US. Do I need a Professional Selling Amazon account to use FBA Wizard Pro? Yes, you will need a Pro account. However, you should easily be able to find enough deals from the first month to cover your Pro subscription and FBA Wizard subscription. Will FBA Wizard Pro work on a tablet or mobile? Yes, the software is fully responsive and works well on all platforms. If I change my mind can I cancel my subscription? Yes. FBA Wizard Pro offers a 10 day FREE trial period when you can test all the features – if it doesn’t suit your needs you can directly cancel it. If you pay monthly, you can also revoke at the end of any month with no hassles. Should I Buy FBA Wizard Pro? FBA Wizard Pro is the best suite for online arbitrage, wholesale, and private label sellers on Amazon in my humble opinion. The extensive and precise support, the comprehensive free training, the community support, the lower pricing, and the other aspects analyzed in this review all underlines the fact that you will hardly find a better solution in the market right now.